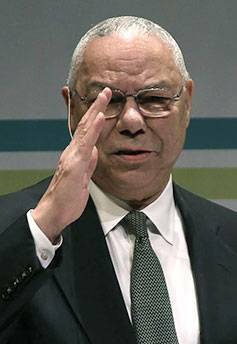 Military leader Colin Powell rose from humble beginnings in New York City’s impoverished South Bronx. Raised by immigrant Jamaican parents, he went to public schools and attended City College of New York (CCNY), where he joined the Reserve Officer Training Corps (ROTC). There he began a military career that ultimately led to his appointment as chainnan of the Joint Chiefs of Staff under mo presidents, George H.W Bush and Bill Clinton. Of course, he became secretary of state. Whether you are a corporate manager, a small-business owner or a PTA president, the “Powell Principles” can help you to achieve excellence. In the military, to “close with the enemy” means to identify your opponent, then organize your resources to fight. In more general terms, it means identifying goals, then taking steps to achieve them. Most business or personal goals can be expressed in just a few words. Examples: We will reduce production costs by 10% in the next three years. I will pay off my mortgage by the time I’m 55. Company executives often spend months composing elaborate mission statements that few employees can understand. Powell believes the most effective goals are the simplest. He relays the story of Napoleon Bonaparte, who occasionally mingled with his troops and asked the lowest-level soldier to explain the army’s overall mission. Bonaparte felt that if the lowest soldier could understand it, the mission was clear. Once you have a sense of direction, you can select strategies that will help you reach your goals. Without this guiding vision, you are wasting your time. Powell learned this lesson in college. As company commander of the Pershing Rifles, an ROTC military society at CCNY, he had responsibility for the group performing in a drill competition at an ROTC meet. As the competition approached, he heard complaints about the student he had selected to lead the trick drill routine. The cadet, a friend, was distracted by relationship problems. Achieving your mission might also mean challenging the pros. On a Vietnam War flight, Powell saw unfamiliar terrain from his plane window, but the pilot repeatedly insisted that they were in safe territory. Powell wasn’t convinced. He ordered the pilot to turn around. Later, Powell learned that they had been over enemy territory. This is key for employees of large, bureaucratic organizations. In 1976, Powell was at the elite National War College (NWC), which trains top officers. He learned that after graduation he would get the plum assignment of commanding the Second Brigade of the 101st Airborne Division at Fort Campbell, Kentucy. When the brigade commander of the 101st left early, Powell still had two months until graduation. The NWC had a policy of not allowing students to leave before the end of the program. Powell had to choose between turning down the assignment and giving up his degree. Instead, he developed a solution that satisfied both organizations. He used the NWC’s traditional field trip to travel to Fort Campbell. The 101st would not let him assume temporary command while still attached to the NWC, so he arranged temporary duty at the NWC and took command of the brigade that way. “The people in the field are closest to the problem, closest to the situation. Therefore, that is where real wisdom is,” said Powell. As people rise in the hierarchy, they tend to talk more, listen less and surround themselves with yes-men. Managers should spend at least half of their time managing people. Most executives don’t do this because managing people is messy. They are more comfortable dealing with facts and figures than wrestling with the personality conflicts, egos and underachievers. Executives should emphasize people-oriented tasks, such as recruiting, performance assessments, improving work environments, etc. 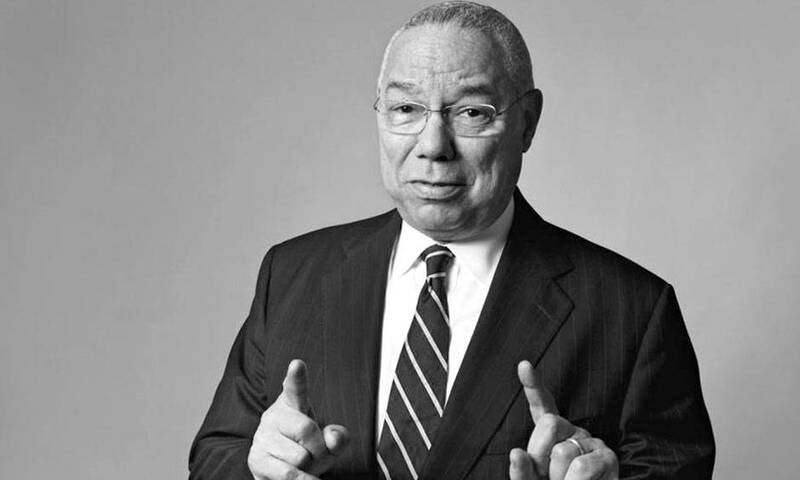 Powell once told a group of newly appointed US ambassadors to take their jobs seriously— but still have great fun. “The two are not mutually exclusive,” he said. Example: When Powell and Soviet General Mikhail Moiseyev were making a ceremonial tour of a US warship in 1990, they saw a sack of potatoes and some potato peelers in the galley. Powell and Moiseyev laughingly decided to see who could peel a potato faster. Moiseyev won.